Figure 1. Bullish Doji Star pattern. This article is devoted to the Bullish Doji Star two-line pattern. The first line of the Bullish Doji Star is a black candle appearing as a long line (Black Candle, Long Black Candle, Black Marubozu, Opening Black Marubozu, Closing Black Marubozu). The subsequent candle is any doji candle, except the Four-Price Doji. The doji's body is located below the previous candle's body. Length of the doji shadows does not matter. 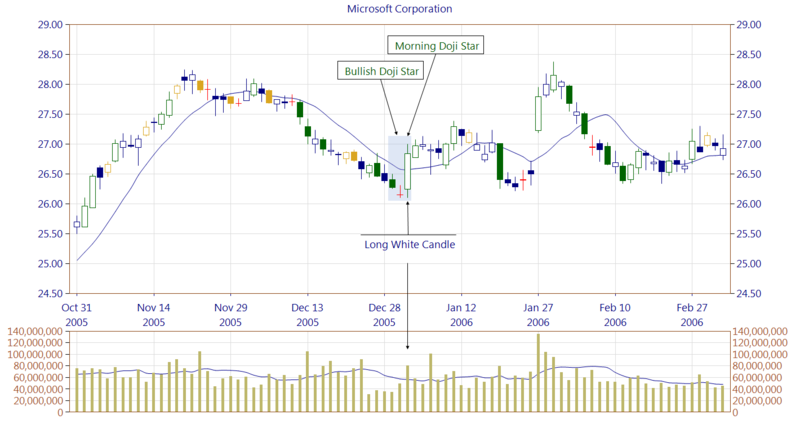 The Bullish Doji Star appears in a downtrend and belongs to the bullish reversal patterns group. Its occurrence should be confirmed on the following candles. This pattern is characterized by a gap between the first candle's low and the following candle's high or between bodies of these two candles. First confirmation is when the gap is covered on the candle following pattern. It can be a white candle which body is located wholly above the doji's body. Other, stronger type of confirmation, is when a downtrend line or a resistance zone gets broken. Morris and Bulkowski point out that doji's shadows should not be too long. It may indicate that only doji candle appearing as a short line should be considered as a valid one. However, our tests show that introducing this extra condition has no significant impact on the number of found patterns. Figure 2. The occurrence of Bullish Doji Star pattern is confirmed by the next candle, which is Long White Candle. It is formed at a high trading volume and also breaks the trendline. On top of that the Morning Doji Star appears. We can notice how the support zone, formed by the Long White Candle, is functioning. Figure 3. The occurrence of Falling Window in a downtrend creates a resistance area for the future increases. Then we see the Bullish Doji Star appearance. 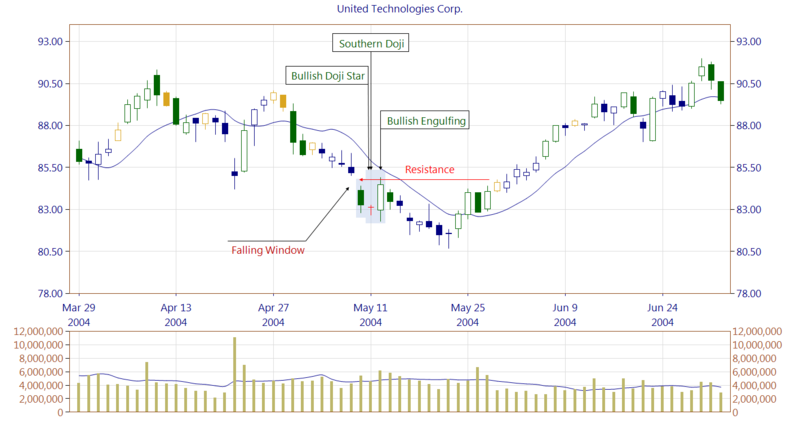 Its second line forms the Southern Doji (bullish pattern) and is part of the Bullish Engulfing (bullish pattern). Nevertheless, the mentioned resistance zone is strong enough to stop the market increases for over 2 weeks. 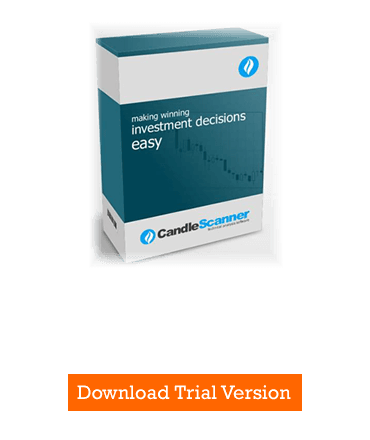 Below you can find some Bullish Doji Star pattern statistics calculated by CandleScanner software. I feel the need to thank you for sharing your vast knowledge. It isn’t often I get to tell a writer good job!. Thanks for all the great informative content.